Last week I was so proud of myself for finally catching up on the 31-day business blogging challenge. But the same day I caught up was the last day for posting, and now I’m way behind again. It is day 21 and I still have to backtrack from day 17. I am determined to finish this even if I finish late. There are several reasons for me being behind. The main one is that I started my 7-day juice diet last Tuesday and it has left me feeling pretty low on energy for the last few days. They gave me too much juice the first few days and it completely overwhelmed my body. I might have mentioned it before that I was on a 75-90% juice diet since before Christmas. However, I was taking in very little juice, 3 juices a day, and eating one small meal a day. I had told them that I wasn’t eating much, but I don’t think they heard me, or might have heard me but didn’t believe me. I don’t know. So when they gave me all that juice in one day, 10 to be exact, my poor body was totally overwhelmed. I was only supposed to have 5, but they must have thought I would get hungry or something. So why did I drink that much? Because technically they only gave me 5 bottles full, but I had no idea that they were supposed to be only half full. Anyhow, I had a talk with them and they agreed that less might perhaps be better for me, and so now I’m doing much, much, better again. My plans were to crochet all day yesterday, but my neck and shoulders were so sore that I ended up resting instead. When I get that stiffness and pain it is generally due to toxins leaving my head and so I have learned to accept it and just rest during that time. The best part about this whole experience is that last night I saw the sun in my dreams. For the first time in my life my dream was not filled with darkness, but with a bright sunlight shining down. Honestly, I don’t know what that means, but it’s got to be something good. Despite all that, I did manage to get some work done for this challenge. 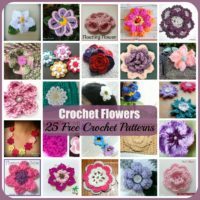 Sara, from Crochet Business Blog, gave me some helpful tips on how to get more twitter followers and I did my first test on that last week. She mentioned somewhere that an easy way to get more followers is to pick a similar account and start following the people in that account. I think I picked two accounts and followed about 20-30 people between the two, and tada, within 24 hours I had seven new followers. I was thrilled out of my mind! 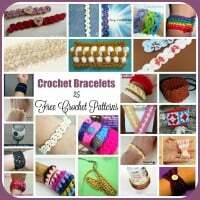 Another thing that I finally accomplished was to revamp my website, CrochetN’Crafts. I moved my social media buttons to the bottom of the page. I have not seen any results from this yet, but I wasn’t seeing any results when they were located in the side bar either. Another tip from Sara is to place those link in my email signature, which I have yet to do, but I’m thinking that will be more helpful than on a web page. I also have to add them to this blog. During the challenge Sara mentioned the importance of a call-to-action on each webpage. I couldn’t think of one at the time because I’m not really selling anything besides advertising space. But after thinking about it I realized I do want my readers to subscribe, and therefore, I do need a call-to-action just like anyone else. 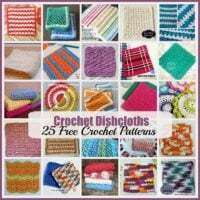 I’ve been giving away a free e-book containing four dishcloth patterns and no one knows about it until they sign up and actually get the book. How thoughtless of me. 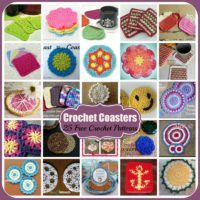 Anyhow, I put together an image of the patterns and posted them to my site with a short phrase stating they are free for signing up. This alone has doubled if not tripled the amount of subscribers over the last few days. The only thing I’m worried about is that some might unsubscribe as soon as they have the pattern. But then on second thought, if I keep delivering good patterns then they’ll have no reason to leave. 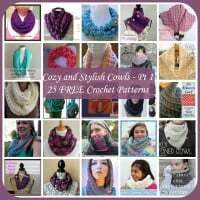 My next step is to put the email sign-up form on its own page with a brief description of the free patterns. Once that is done, then I can post the page link on Facebook, Twitter and other social media platforms. 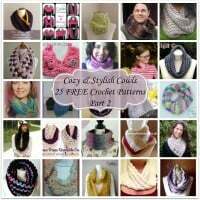 I still need a pattern for my Facebook fans. Not sure if I’ll design a new one for that, or just use the dishcloths. Maybe you have an idea as to what I should do? Another accomplishment last week was that I got accepted into Project Wonderful. I’ve placed the ads on my site and will be doing some experimenting to see which ads perform the best. The bidding is still at zero for some ads, but once more advertisers know about it, I’m hoping the prices will naturally rise. I’ll give it a few months and see, but I think it is a good accomplishment. Oh and I finally registered with The Yarn Box! So even though I havn’t been blogging the last few days, I did manage to accomplish a lot. And the best part is that I didn’t even have to work hard, thanks to Sara. 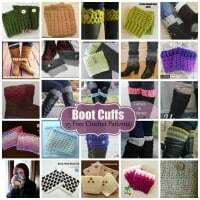 With that said, I’m going to re-think my goals for designing so many patterns. Perhaps I might do better if I published one pattern per week and spent the rest of the time marketing, seeing just how easy it is. That’s it for today, and hopefully tomorrow I will get on with the challenge again. Rhelena, a big ‘aha’ moment for me came last week when I was reading MichelleShaeffer’s blog. She did a whole series on top blog questions – she said that you should be promoting more than writing. This was regard to how many times you should post to your blog. Let’s say you have 30 minutes, 10 minutes of that is writing while 20 minutes of that is you promoting the post through various avenues online. Makes since huh? Good for you on Twitter. I don’t follow people daily, I used to but I’m not in the habit of it right now. This tip was actually given to me by Kelly McCaussey – I did a blog internship with her back in 2010. I think publishing one pattern a week will work fine, because the main chunk of time will be promoting that pattern. Newsletter – yes, putting that free eBook right in front where people can see it is a great idea. Yes, people will subscribe and unsubscribe just to get the freebie but some will stay. Michelle Shaeffer (really should follow her blog) taught a webinar on email lists a couple of years ago and she said not to worry about that. Don’t take it personally. Your list numbers will fluctuate and that’s okay because your list isn’t for everyone – you want the people who are interested in what you have to give them – those folks are your target audience. Thanks Sara! That is a lot of marketing, but it makes sense to market. 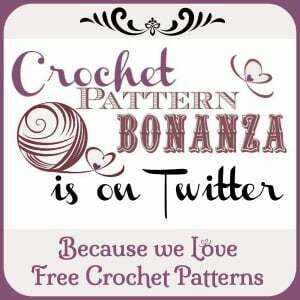 I’m going to put together a list of sites where I will add the pattern to as soon as I publish it. So I may end up publishing on Thursday and then go to town on Friday. 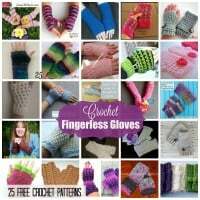 Can you post Michelle’s link because I have no idea where to find her. I’m so thankful for this challenge because it is exactly what I need right now to move things forward. I’m not going to try and finish before Jan 31, but rather, I want to go at my own pace and do each assignment so that I can get the most out of it. Otherwise my to-do list will just keep growing until I get discouraged. Hope you don’t mind if I do that…I’m just learning too much not to implement the strategies. I’m doing my Monday blog rounds and I want to tell you that…Determination is a great thing!! You know there’s nothing like that feeling of completing a task!! Hmmmm ya know, I hadn’t thought twice about marketing my blog outside of making sure the patterns I post are on a set number of sites via my submitting them. I really should look into this. I think I have a decent blog but I know it could be better and there is SO much I could do for marketing. As for the patterns – I don’t know. Part of me says that using the same for both avenues is fine but another says that having something unique for each avenue would drive people to both areas… ya know? Cris I love your blog and you should definitely spend some time marketing it. I didn’t think that it would help me out either, but now I’m starting to see how it will benefit me if I stick with it. 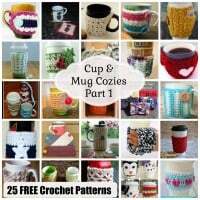 Thanks to Sara from crochetbusiness.com I finally can see how I can make it possible.